MANAGEMENT TEAM & STAFF Wisma believes in our employees as a valued asset of the company. They are well trained, motivated, and inspired by team working atmosphere, challenging tasks, and service mind across the broaden responsibilities. 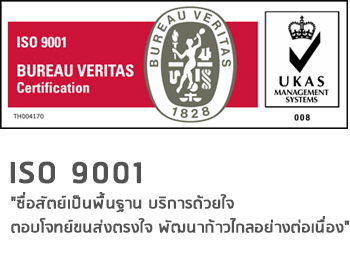 Wisma team’s capability has been proved and recognized by the receipt of ISO 9001-2008 Award from Bureau Veritas in (year). Wisma provides extensive training and career development programs which were personalized for each employee’s career path. Consequently, they enjoy working with the company meanwhile they serve the exceptional services both nationally and internationally to our customers. Wisma’s philosophy is based on in-depth foundation of honesty and sincerity. We always provide our services to the customer from our hearts. 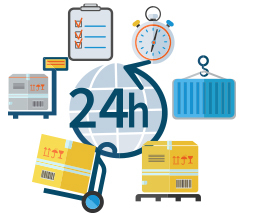 With continuous improvement and researches, Wisma dedicates anxiously to assist the customer in freight transportation and delivery alternatives to satisfy all our customer’s needs. To focus on our customer’s benefits, Wisma has even developed our management team to enhance our capabilities, and to maintain in the front pace of operational high-technology facilities and tools. "Honest and Sincere Services with Freight Transportation Solutions."